Stephen Hart’s role allows him to assist the team in identifying the best possible solutions for client needs and opportunities. Stephen is a CERTIFIED FINANCIAL PLANNER™ and has a desire for providing exceptional customer service, while maintaining a clear focus on the unique goals of each individual. He utilizes a goals-based approach to financial planning that allows the client to fully understand what is required to maximize their financial future. 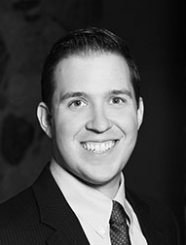 Stephen began his career in the financial services industry in 2011 with GuideStone Financial Resources. Stephen is also a regular contributor to several financial forums including NerdWallet.com and Investopedia, and is regularly quoted in a variety of financial periodicals. His own articles have been featured in notable publications such as USA Today, NASDAQ and the Christian Science Monitor. He is an active member of the DFW chapter of the Financial Planning Association (FPA) and also serves on the Generational Wealth Advisors Investment Committee. Stephen holds a B.B.A. and M.B.A. from Baylor University and completed his CFP® coursework at Southern Methodist University. Stephen and his wife, Rachel, have one daughter, Joanna. The Harts are active members of The Heights Baptist Church in Richardson. He is an avid follower of all things Baylor and enjoys regular attendance to Baylor Football games. They currently live in Plano with their dog, Jazmine.